You can make a donation to support our concert and education work via the Donate button below, which is managed by the National Funding Scheme. 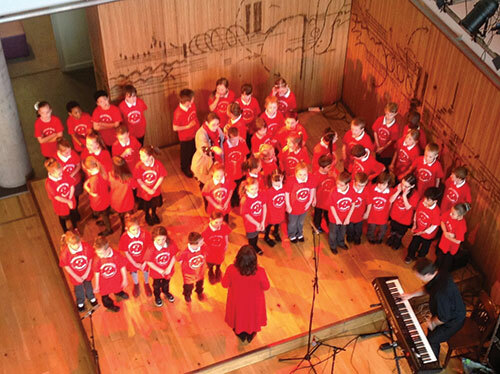 Preludes is a bold and innovative music project that has been running successfully since 2009 in several schools areas of Bristol experiencing high levels of disadvantage. It is the most extensive project of its type in the country and grew from discussions between Roger Huckle of the Bristol Ensemble, Professor Leslie Bunt of the University of the West of England and James Wetz a former Head Teacher. The aim is to put classical music at the heart of every child's education and by doing so improve confidence, co-ordination, speech and language and benefit all other areas of their learning. Preludes is delivered by a growing team of dedicated professionals, managed by Penny Rawlings with the assistance of Charlie Groves and Dylan Jones. Since September 2015, Bristol Plays Music has been a partner of the Preludes music education programme.